Robin is the founder of the firm and brings into play his experience as a building surveyor and architect and offers a diverse background, including design and on site project management. Robin’s true passion comes from seeing development potential in his clients' projects. Robin draws on skills from various jobs in the UK construction industry including property development, managing building companies and founder of a London based surveying practice, Burlington Surveyors. With membership of the Architects & Surveyors Institute, Institute of Building and Royal Institute of Chartered Surveyors Robin brings to the practice an understanding of Western European client’s needs and standards in construction. Ana has a background in architecture and trained at the architectural faculty in Nis, Serbia. She is responsible for the day to day management of small works projects and has won acclaim for taste in interior design and decoration. 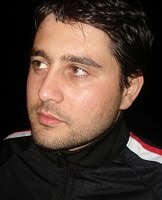 Goran was educated at the Faculty of Civil Engineering, Podgorica, Montenegro and has a degree in civil engineering. His responsibilities include overseeing a team of designers and engineers and all facets of “on site” development, upgrade, and reconstruction of buildings. Goran is also our lead ArchiCAD expert. With over 5 years experience in the civil engineering arena, Goran combines his computer abilities and project management skills to understand our clients' needs and the importance of site structure and usability. His ultimate objective is to design, develop, project manage and deliver a building that you'll be excited about today - and tomorrow. Lily’s vision and leadership are a guiding force in the constant growth, development and innovation of Total Group Real Estate. Blessed with an uncanny knack for spotting trends, hidden revenue outlets, and under-utilised assets. While some of her "polish" was gained through her economic background, it was when Lily abandoned this traditional path and started her own business, that her ability to orchestrate business growth and piece together strategic relationships came to the forefront. Although young in years Lily’s experience in economics and marketing now brings her body of knowledge to this business. In the words of one of her clients -- "Lily’s mind is completely oriented to results and to crafting present ideas into a much larger vision than we could ever see on the surface. Anyone who works with this brilliant young woman and her company will not only prosper, but will be better for knowing her." Nikola was educated at the Faculty of Civil Engineering, Novi Sad, Serbia and now trained in the latest ArchiCAD programme is a complimentary assistant to Goran. Since working with the Practice Nikola has found a new niche market in 3D graphic presentation and he supervises a team of graphic designers based in Serbia. Nikola now arranges “off Plan” sales brochures for clients to a high professional standard. 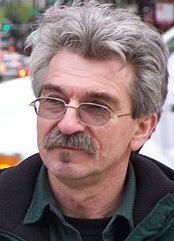 Hranislav originally trained in Serbia as a site foreman and later moved to America where he gained experience in western small site project management and sustainable building techniques. Returning to Montenegro to be with his family meant we were lucky to have him on the team. Dragan used to run his own building company in Serbia and since a heart attack has had to cut down on physical work. In a way this is good news for us because not only is he knowledgeable in construction methods and technology, he is tough and will not stand for shoddy or inferior work.